Want to Avoid this Hassle? 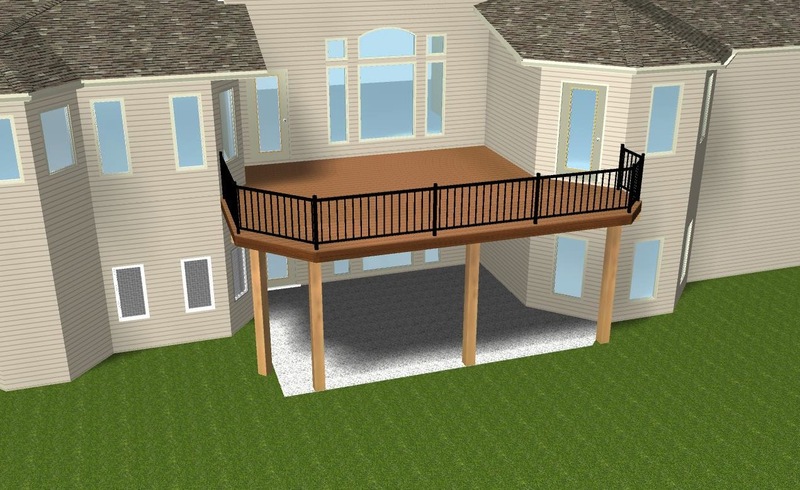 Normally, a multi-day – and even multi-week (for larger projects) – construction process is necessary for you to have a brand new Archadeck outdoor living space. 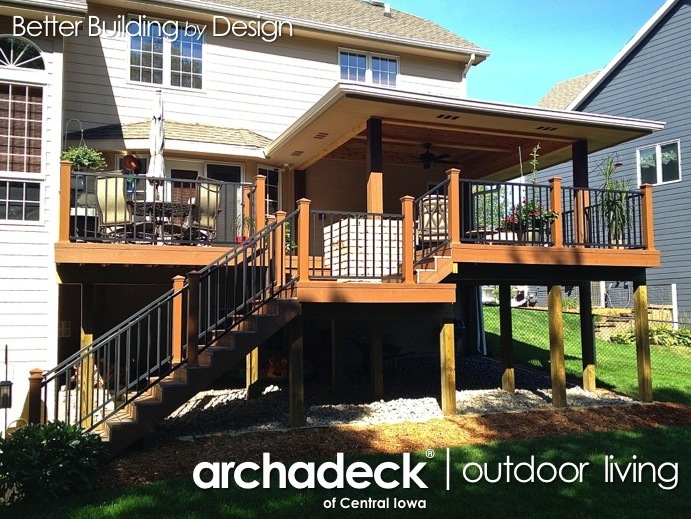 But, here is a rare opportunity to own a new, beautiful, low-maintenance deck, porch and patio, custom designed and built by Archadeck…without the hassle of construction! Magic. Bang. There it is…right in your Central Iowa backyard. I know many of our hundreds of past clients would have liked that opportunity. But, this opportunity is very unique (first time in 12 years)…and fleeting. “How?” you ask. “Got to be a trick,” you say. 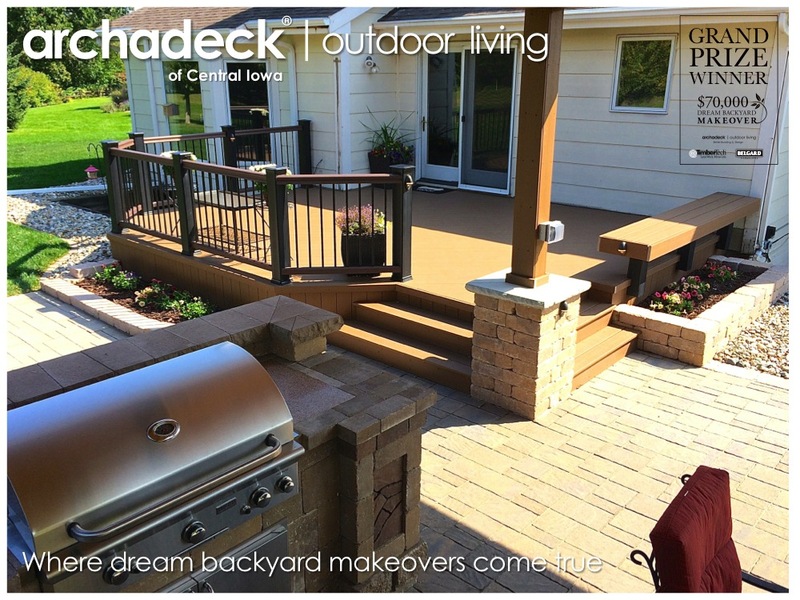 The magical space “appeared” over the winter and spring of 2014-15 and includes a deck, open porch and fire pit patio area overlooking a pond in a Waukee neighborhood, west of Des Moines. 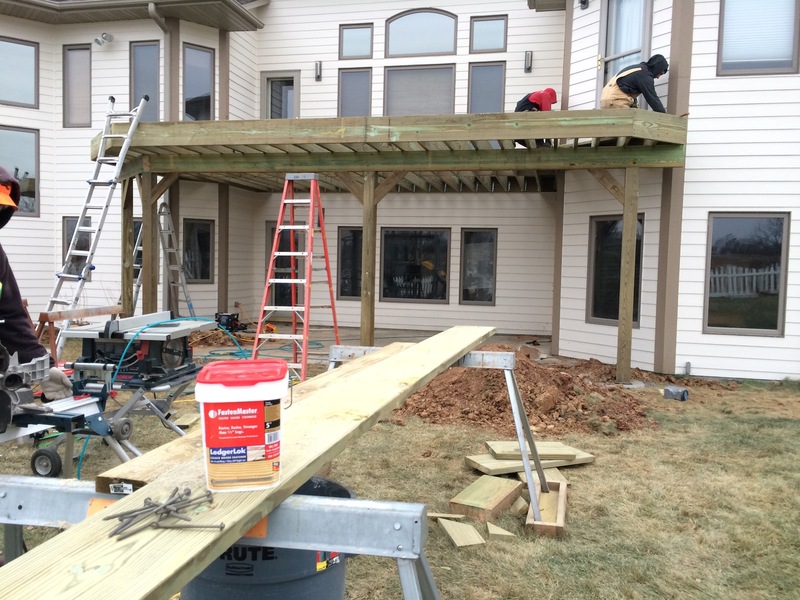 TimberTech Earthwood Evolutions capped-composite decking provides beautiful and low-maintenance enjoyment of the deck and porch area. 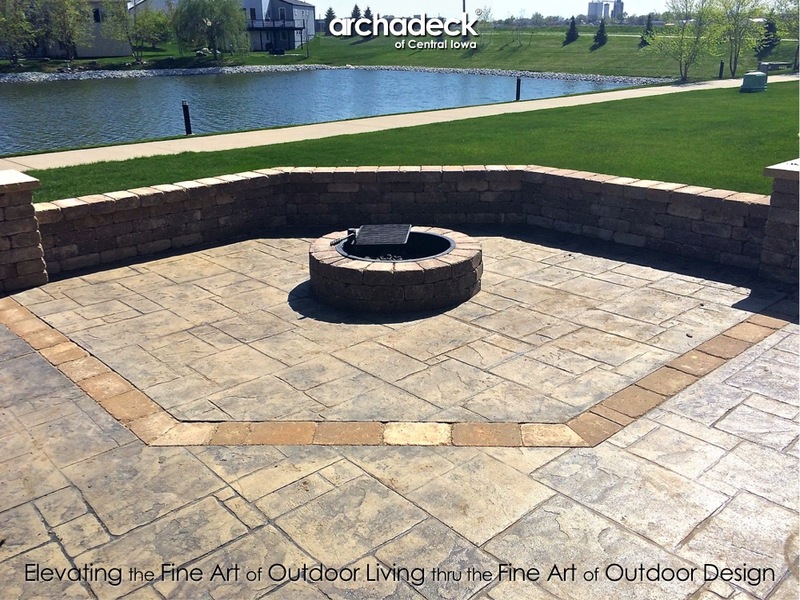 The stamped concrete patio with Rockwood Wall Stone for the firepit and seat walls as its focal point, is surrounded by raised planter beds in the same wall stone. It’s a beautiful place to start the day with morning coffee under the canopy of the porch. Catch some mid-day rays on the open deck and grill a delicious lunch or dinner meal. A drink around a cozy fire on the patio caps the day. And weekends…this space was made for weekends! 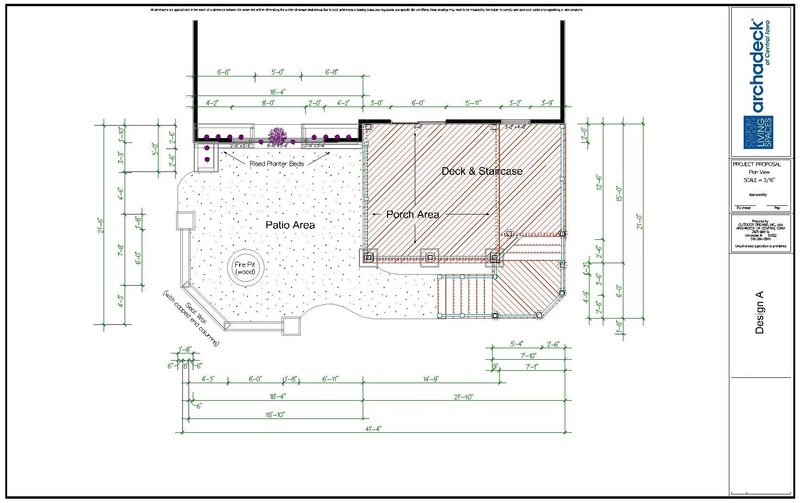 Plenty of outdoor space for entertaining larger groups of family or friends. Its exactly the space our clients envisioned and they love it. 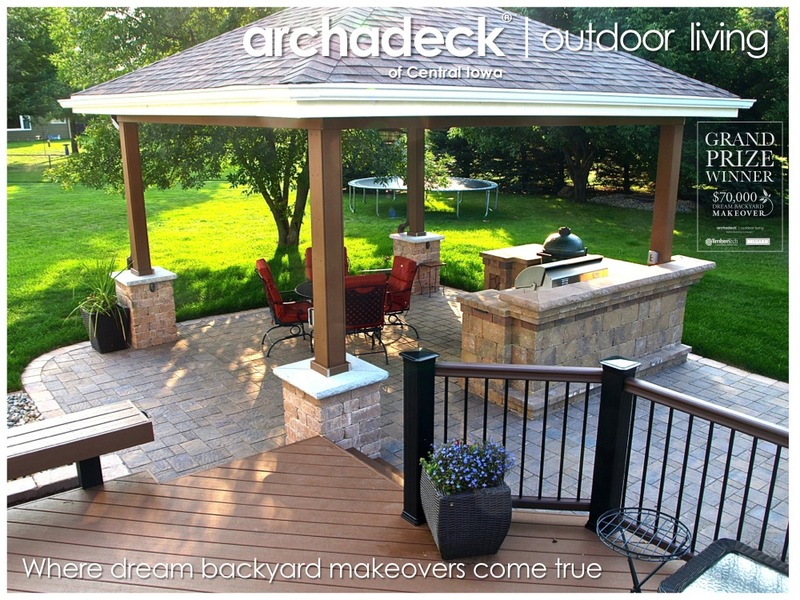 They would also love for you to buy their new Archadeck outdoor living space! And…the home that goes with it. 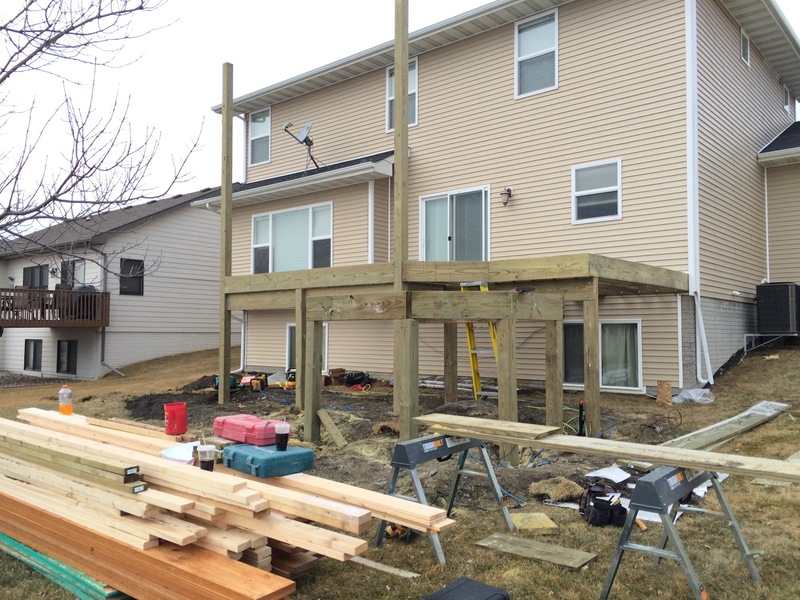 For Sale – Best Backyard in Waukee! So, “enjoy” they have (a few times) and “moving” they are (in two weeks…to Auburn, Alabama). Their Waukee home was recently put up for sale. And you have the opportunity to buy it…and the (brand) new outdoor living space that goes with it. The home is listed with Re/Max Real Estate Group. I can’t help but notice the listing shows nearly as many pictures of the backyard outdoor features as it does the interior. I’m not saying it’s the best part of the home, but…you can Go Outside and Play there! 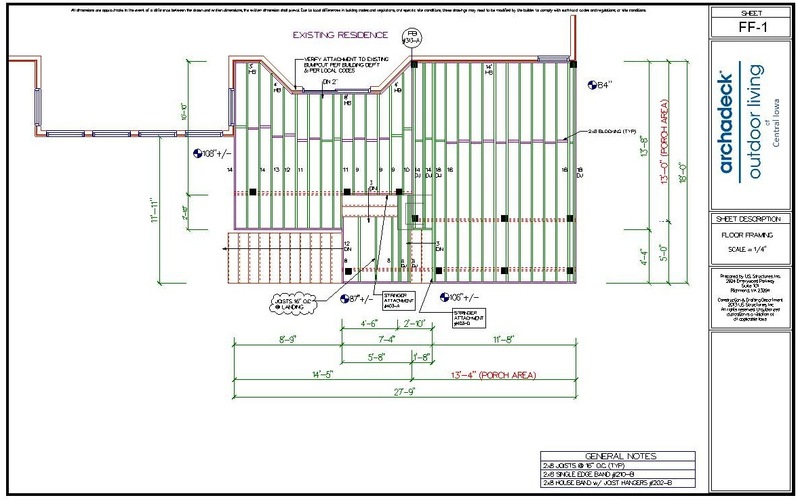 Our clients were great to work with as they collaborated with us over the course of a couple of years to make sure they got their project “right.” We all expected them to enjoy the space for years to come. But, this move is good for them and we wish them the best in their new endeavors in Alabama. They are leaving a great backyard – a great home – for someone else. We’re all here to leave the world a better place than we found it, right? Our clients did that. 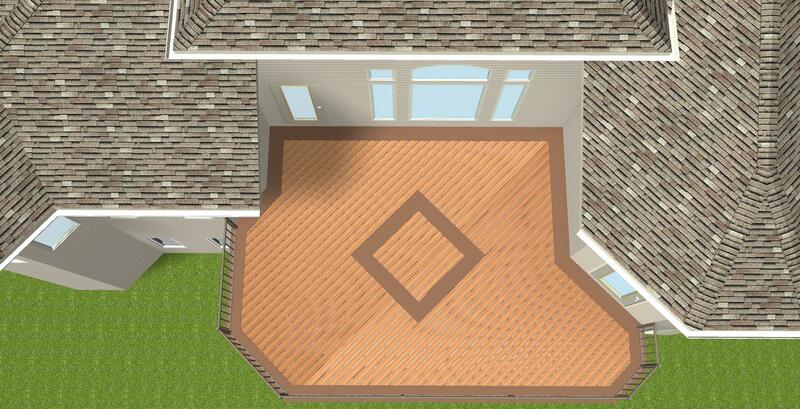 I thought the least we could do here was to promote this project from the perspective of helping our clients ease their transition to Alabama by attracting potential new owners of their home through a new Archadeck-inspired backyard. So, if you’re in the market for a hone in the Des Moines area, check out the Re/Max Real Estate Group listing for our client’s home in Waukee. If beautiful vistas, and the outdoor spaces to enjoy them from, are high on your list of must-haves, then this home should be high on your list of must-haves. 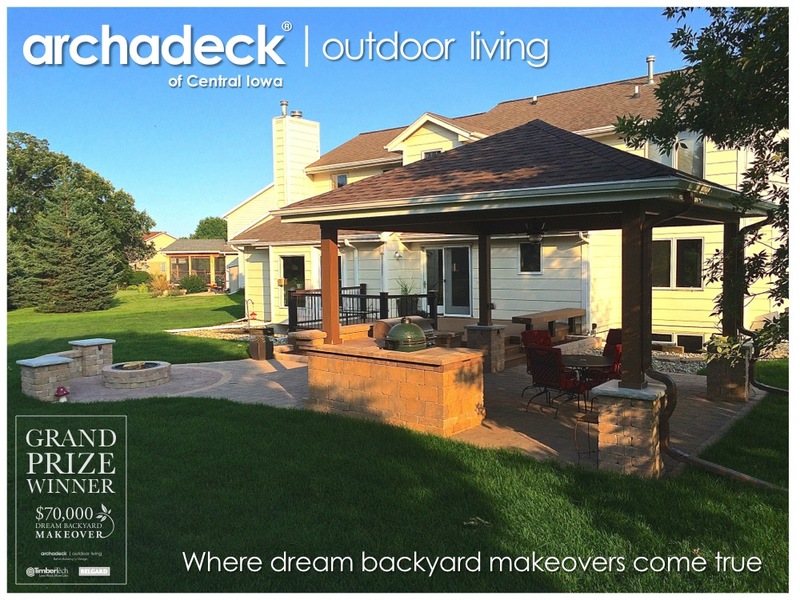 Twelve years ago, on a late Friday afternoon, I got off a long-awaited, return-flight home to Des Moines after a 3-week Archadeck orientation training course with our franchisor in Richmond, VA. Two hours later, I was exhibiting Archadeck of Central Iowa’s deck and porch business at my first Des Moines Home + Garden Show. Talk about hitting the ground running! Twelve years ago, all the exhibitors (and attendees) were crammed into Veterans Memorial Auditorium – both floors. The buzz and energy in the building was exciting – as was my experience as a first-time exhibitor. Twelve years later, we are about to embark on our 12th consecutive Des Moines Home + Garden Show. The show starts at noon on Thursday, February 12th, and continues thru Sunday, February 15th at 6pm. Check the show web site for details; you’ll find us nearly where we started 12 years ago…on the lower-level of whats now a building with a name so long it would break the internet if I spelled it out here…but essentially, Vets Auditorium – or “The Barn” – as us old-time Des Moinians still call it. Hy-Vee Hall…Iowa Events Center. The old Vets – newly repurposed and renamed a few years back – is now integrated with the new Hy-Vee Hall and Wells Fargo Arena facilities and grouped into the Iowa Events Center. None of these latter facilities existed 12 years ago. The addition of the Iowa Events Center complex is representative of the excitement and growth associated with Des Moines over the past decade. That buzz expands to the Des Moines Home + Garden Show every year and the growth and excitement of the show parallels Des Moines as a whole. The show now fills every nook and cranny of Hy-Vee Hall and the exhibition space at Vets. We’ve been in nearly all those nooks and crannies over our 12 years exhibiting there. Outdoor Living. 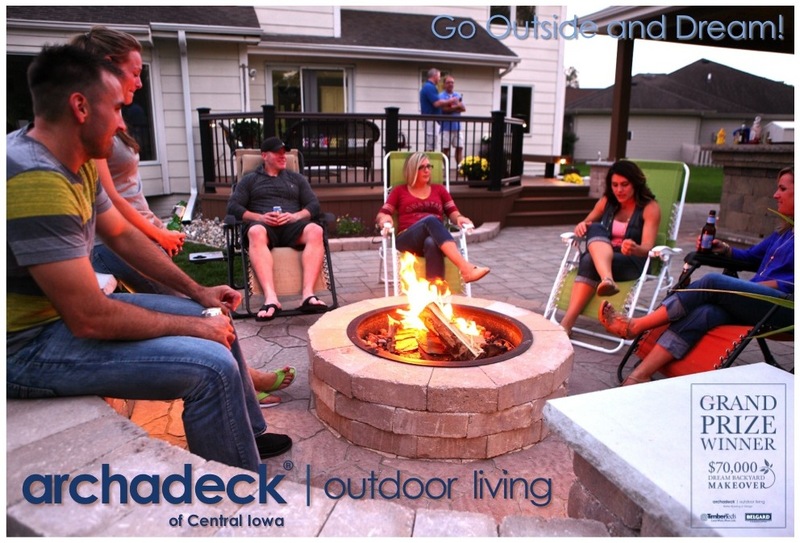 I said on Sherry Failor’s Welcome Home Des Moines radio show last week that no one really invented “outdoor living.” But, Archadeck was in the “outdoor living” business over 30 years ago. We were always more than decks and porches and we knew that. But, Archadeck’s name – while a well identified and reputable brand – didn’t articulate that very well. What to do? 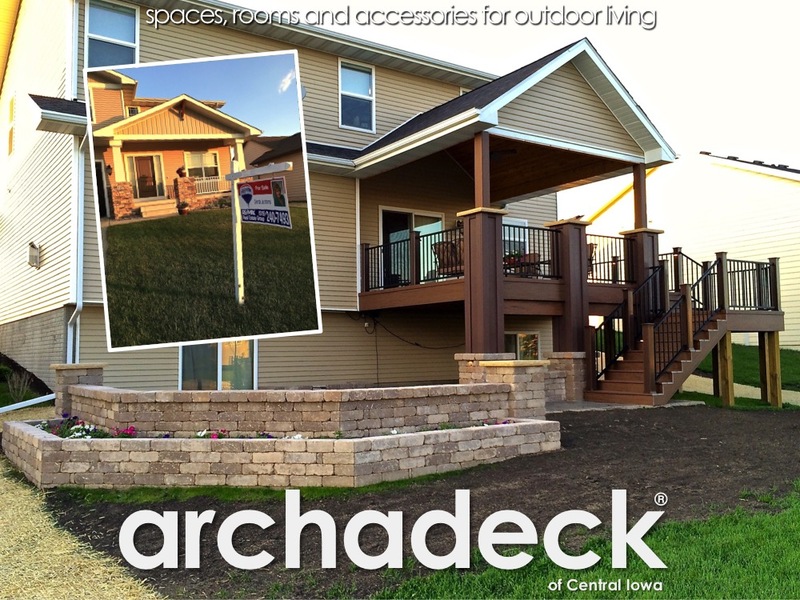 About 6 years ago…Archadeck | Outdoor Living. Moving life outdoors. In stunning style. Pressure = Excitement. 4 days before the show and we don’t know what we’re going to put together for our exhibit. How exciting is that? Pressure-filled excitement is what that is. But, always exciting to see it come together. 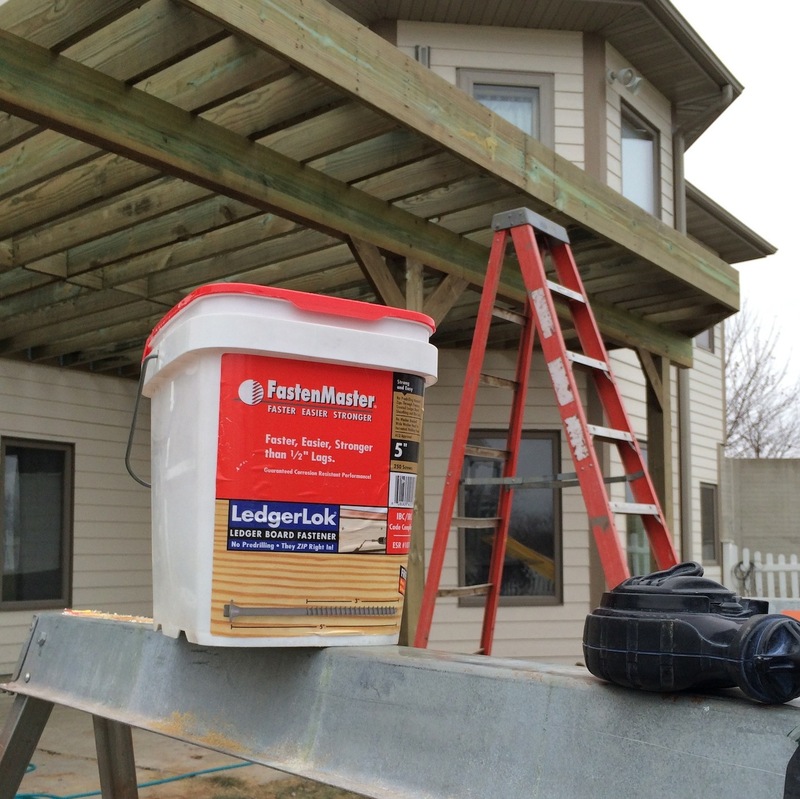 Lower-Maintenance, Wood-Alternative Products. 12 years ago – and for the first few years – our exhibits were composed of primarily cedar (wood)…cedar deck, cedar pergola, cedar walls. This weekend (as we have for several years), we’ve incorporated 3 –generations of wood-alternative decking into our exhibit as well as stone walls. No wood. Lower maintenance. No splinters. 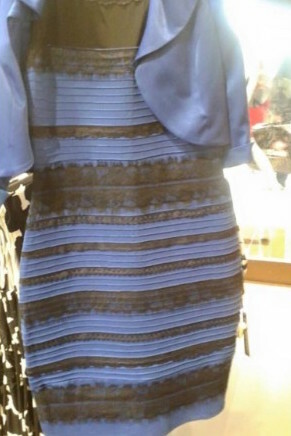 Year-Round Exhibit. 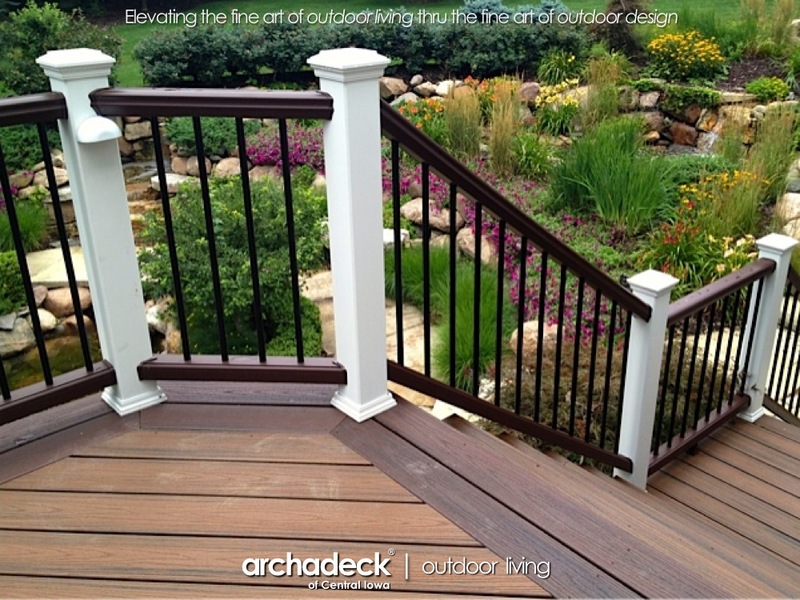 The Home + Garden Show demonstrates how beneficial an Archadeck exhibit is to both us and our clients. So, in 2009 we developed and opened a year-round home show, in effect. Our Urbandale office space has evolved with our products and services, and is now an interactive, collaborative, design studio for our clients. Product Evolutions. 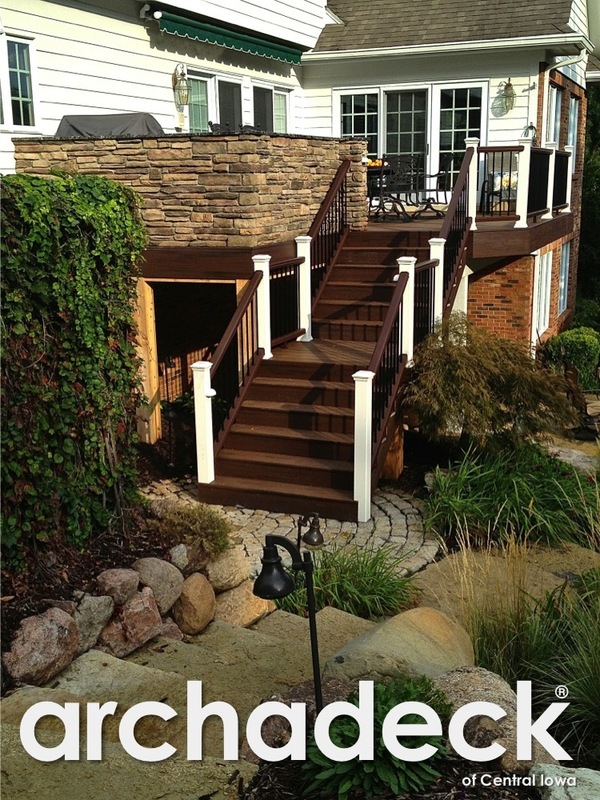 Wood-alternative decking and railing products change every year – new technologies, new aesthetics, improved performance. There are only about 3 boards we’re showing (and using) in our exhibit (in Central Iowa backyards) that existed more than 5 years ago. Technology, the Internet and Social Media. Twelve years ago I couldn’t write a blog about the Home + Garden Show. Today, I can not only do that, but I can also post photos and reports from the show on Facebook, live-tweet from the show and access our complete photo gallery on my iPad…but since that’s so small, we’ll just stream it on the 52” high-definition monitor we’ve got in our exhibit instead. Fleetwood Mac. They are opening the show this year! Next door…Wells Fargo Arena…the night before. World Turning. Outdoor Furniture. To truly live outdoors, you need spaces, rooms and accessories for your outdoor life. 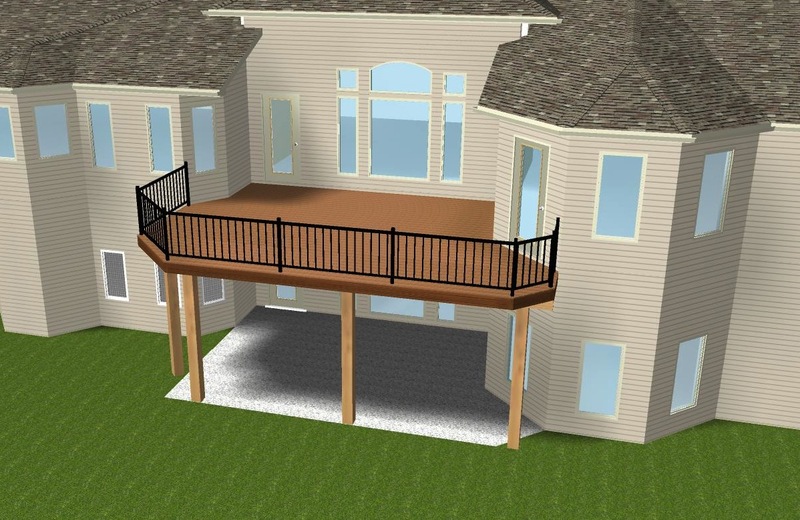 We’ve designed, incorporated and provided accessories like lighting, outdoor kitchens, bars, fireplaces, fire pits and more in our outdoor living projects for many years. 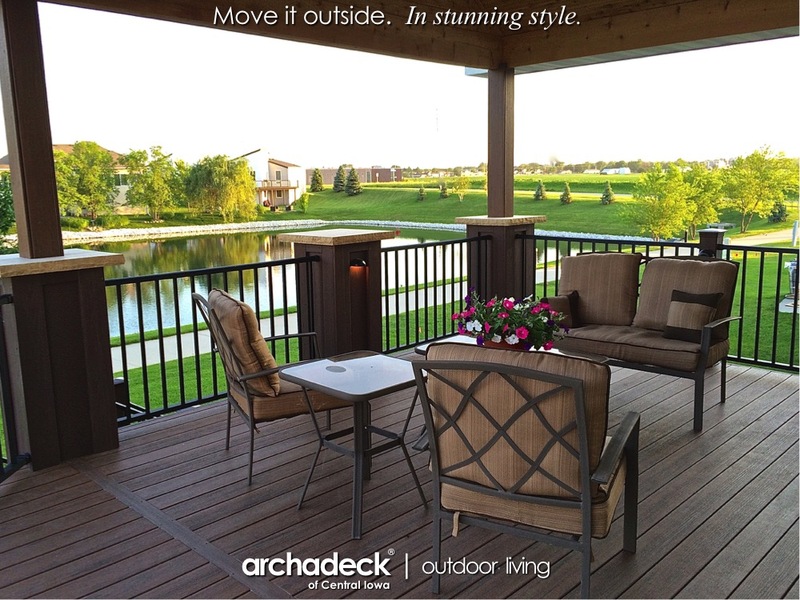 Later this spring, we’re rounding that out with a new, attractive, offering of Caswel outdoor furniture, with exclusive offerings through Archadeck | Outdoor Living and our other Outdoor Living Brands, Inc. family of outdoor-oriented businesses. Look for more news on this later this spring or talk to us about it at the show. Valentines Day. Yeah, once in a while…3 or 4 times now, I think, the show lands on Valentine’s Day. Hershey’s Chocolate Kisses at our exhibit! And that’s not yet a name for a Trex, TimberTech or Azek deck board…but I bet its been considered. It would go well with Spiced Rum and Havana Gold (actual Trex Transcends deck color names). Home + Outdoor Living. Stay tuned for news on this one. Marketplace Events, the promoter of the Des Moines Home + Garden Show has just announced plans for a new (second) show in March of 2016. 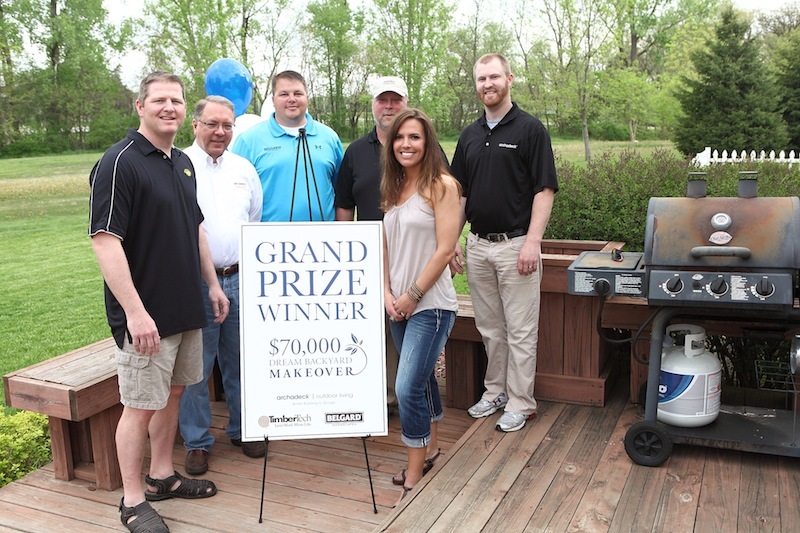 To be called…The Des Moines Home + Outdoor Living Show. See bullets 1 and 2, above. With (one of the only companies / exhibitors) “Outdoor Living” in its name, I think I know where we’re going to be next March. 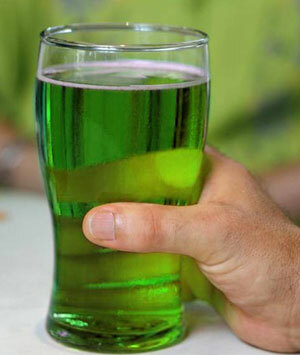 But, is 13 a lucky or unlucky number for us in regards to the Des Moines Home + Garden Show? Stay tuned for more excitement. 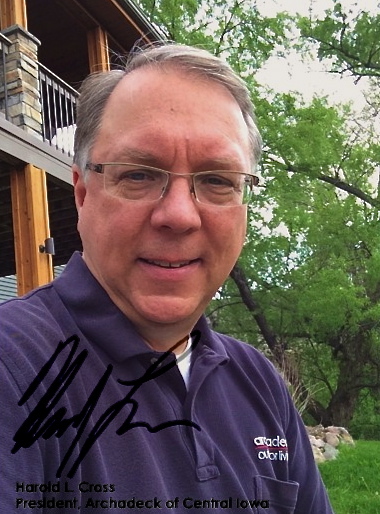 I hope to see you at the 2015 Des Moines Home + Garden Show.